What’s in the stars for the week ahead? Hoppin’ and a-boppin’, the candle wick is—oh, no worries, it’s an LED. The transition right now is as much spiritual as it is material or even emotional. This is not a playground for the feint of heart. It’s a paradise to create from the heart, to remember why we have one. It’s much more than a mechanical device to pump blood and oxygen: A heart is Compassion Central. The more conflict one has, the more choices. Moving yourself to a quiet inner space where you free yourself from the many projections aimed at you realigns you with your own loving spirit. Remember to love yourself this Valentine’s Day! Feeling amped up? Need your meditation music to get you into delta? Or would you rather energize and drink your raw greens? Wherever you are in the spectrum of your day, know these are not normal times. They’re a fulcrum, and each thought you have weighs in on where you end up. It can be hard to believe that one thought, a phrase, or half a sentence can determine your next moment—but you’re wired into your body, like it or not, so go easy on yourself. Don’t let anyone pull strings of fear, which the puppet masters adore. Enjoy Valentine’s Day in your very own way, loving yourself every day. The solar tenth house has to do with your career. But what if you’re not working, or you’ve retired? Then it speaks of your public connections, how you’re seen out and about. Mars and Venus blend together this week, giving you just the right amount of energy to do what you want, with yummy, beautiful and cuddly being the operative words. At the same time, if there are old wounds in the mix, you’ve had a chance to stand them up, dust them off and see that they have healed. Or maybe you’ve done that for someone else, in which case, go out and have a stellar Valentine’s Day! You deserve it! Now that Mercury has stopped receding into the shadows, you can negotiate. Whether it’s with yourself for choices that are offered, or in dealings with others, make sure you’re at the heart of the focus. Think of yourself as a sunflower, with everything you need directed to your center. Let it all nourish you, and then you can give back. You may be asked to sign something—thank goodness Mercury is moving direct! The Sun moves from your solar eighth house of legacies to your ninth house of philosophy and law. Take time to see the beauty around you. Create space for a Valentine’s Day to remember. On whatever field you’re playing, there is continued hope. In fact, breaking outworn rules and entering this flexibility era could be just what the doctor ordered. People may not understand what you’re going through if they haven’t been through it themselves. They need it explained to them, though actually feeling it is what makes the difference. There’s an escapist quality to numerous large organizations at the moment. Whether they’ve grown too large, or transparency is a challenge, you needn’t let it stop you from having a wonderful Valentine’s Day. 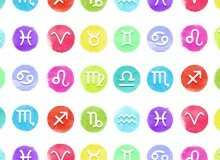 Leo still rules the heart of the zodiac, and it’ll keep on beating. There’s a lot of celestial energy to help with relationships, especially those that are most important to you. Whether married, single, or partnered up, Venus connects with Mars this week. This blending of feminine and masculine—a yin-yang affair—can help you understand their point of view, and it allows for their feelings to merge with yours. It’s a deep, ethereal, softer sort of combination—one that hasn’t been around for awhile. This could be just the soothing balm you need for Valentine’s Day. Let it heal and restore what may have been a series of jolts and simple or complicated miscommunications. Communications begin to stabilize. They’re slower than you may like, with power surges that you may not. Saturn in your solar third house wants you to take your time while you’re putting things together. Uranus opposite your sign wants you to hurry up. Use your refined sense of diplomacy and need to be in a harmonious setting to help make your choices this week. 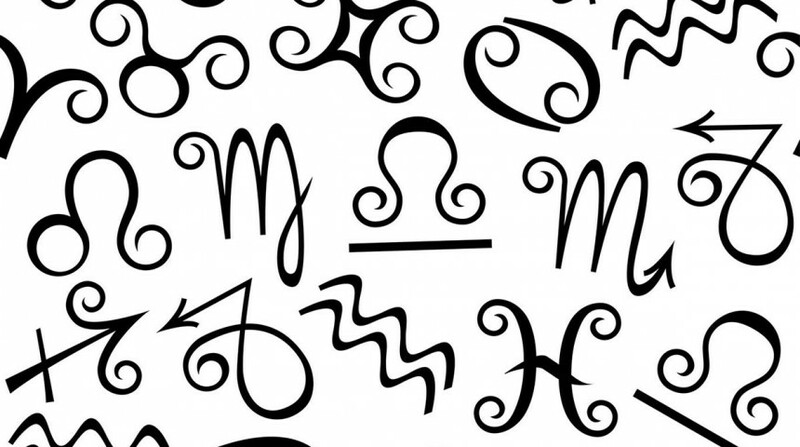 Mercury is direct and you’re likely to trust your reactions. You probably are hearing what’s being said. Someone may be playing both sides of the fence at work. Let Valentine’s Day be very hearts-and-roses—you deserve it! There’s love and a forward movement when it comes to your work. If you volunteer, this goes double for you. The discretion and valor you exhibit is a form of soul nourishment—for yourself and for others! The Sun has passed from the halfway mark opposite Jupiter, so indulgences or excesses will balance out, which you may have wished for. You don’t like nonsense or spreading yourself thin; you prefer to be able to concentrate on a goal, then go after it. You’re great at sensing things before they happen: Amplify this natural trait. Valentine’s Day is possibly more fun than you’ve had in years. Taking charge may not have been in your plans, but right now you’re the one to trust. Your continued optimism—some have cruelly called naive—helps you take care of yourself to create the strength and endurance you need. Ceres cuddles up to Pluto in your finance sector this week: That’s backup on a large scale. You’re likely to receive a bit of assistance that gets you to a place of stability. In short, you may soon be the one who changes the status quo in your personal and professional life. Someone’s empire is about to crash, but it’s not going to be yours. Happy Valentine’s Day! Mercury is now direct in your money sector. It’s easier to make sense of contracts, negotiations and other people’s wrangling. Not to mention, Valentine’s Day’s on Saturday. Capricorns have a reputation of being serious, even formidable, with lord of ambition Saturn as your ruler. Let your loved one know your soft side is available for viewing—if they behave! You have a warm heart, but you’re efficient; you don’t appreciate having your time wasted. You have plans! There are goals to achieve! Don’t let pride stop you from reaching out if you really need a hug. There are plenty who appreciate, love and value you. What’s been hidden or repressed is showing itself now. Some of it could send you into a tizzy, as there isn’t a lot you can do with the choices others have made. It comes down now to what you choose. 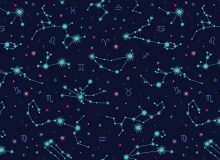 The Sun is in Aquarius through Wednesday; your Birthday Zone sparks keep flying. It’s unlikely to be a week where you can relax—that’s why you may as well create a romantic gesture for Valentine’s Day romance, even if you’re single, even if you’re buying yourself that lovely red rose. They say, fall in love with yourself first, then you can love others. Mars conjunct Venus makes it possible this week. Your inner truth can stand alone, unshakeable. Follow your instincts and float safely in a sea of inner trust. Being able to believe in your choices when the chips are down, when nothing outside yourself says you’re right, builds a foundation forever. It’s like practice. See that when you’re held back, it may be to help not hinder. You haven’t done anything “wrong.” You’re kept in the warmth and safety of the vibration at which you resonate. That’s why it’s important to be as honest as you can during these tricky times. 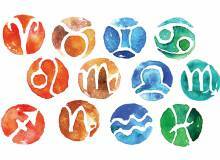 Mars and Venus bring an epiphany to an old way of handling relationships. Happy Valentine’s Day!